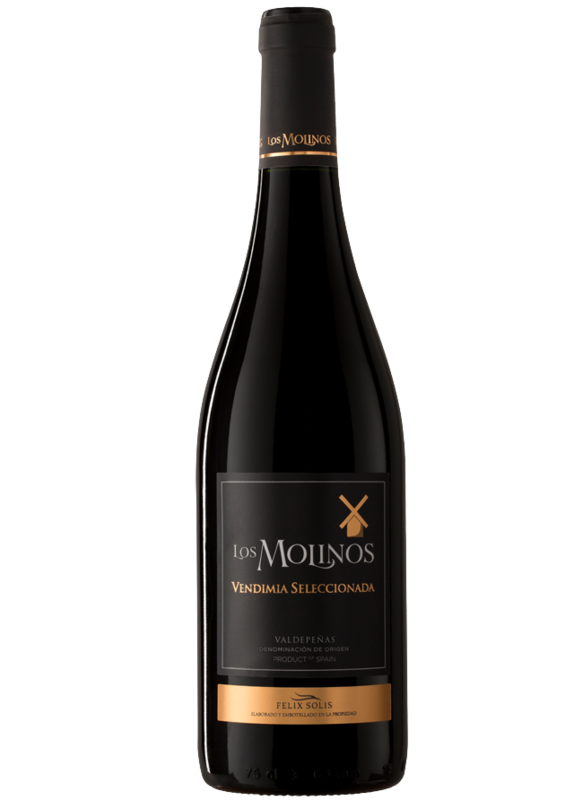 Los Molinos Vendimia Seleccionada is cuddled from the harvest,to the bottle.This wine is made from are elaborated with the Cencibel variety (Tempranillo), the best grape of the zone and present in the immense totality of wines of quality of our country. The bunches are carefully selected from old vines. Brillian cherry red in colour with complex aromas of wild berries and a hint of seet spice. The palate has flavours of ripe prunes and blackberries with soft, ballanced tannins and a sily texture. A perfect companion to beef dishes, game, cheeses and patés. The success in the elaboration obeys to the control of the maturation of the grape and the fermentation in a controlled temperature, in a way to conserve the aromas and primary flavours, and combine perfectly with the secondary aromas.